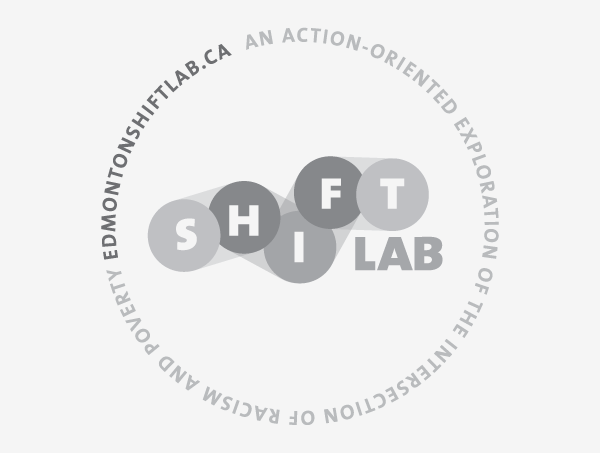 Responding to the work of EndPovertyEdmonton, Edmonton Community Foundation and the Skills Society Action Lab partnered to develop the Edmonton Shift Lab (ESL). Understanding the value of bottom up approaches to social change, the initial partners began laying the foundation for growing the four key groups stewarding the work of the Shift Lab. A diverse group of 8-10 leaders who have lived experience with the challenges we are addressing, are champions for creative processes that spark critical change, and/or are leaders within key systems that can influence change. This group will support the lab by providing input when critical questions arise in the lab process and act as key levers supporting the public presence of the Shift Lab. An ever growing collective of organizations and people that are interested in or already working on addressing racism and poverty in Edmonton. This group will act as a bridge connecting community experiences to the lab process. This will support sense-making around racism, poverty, and systems and provide a link to people to co-design solutions with community. A group of 5 people that represent diverse ethnocultural community perspectives and have knowledge and know-how around the coordination of human-centered design thinking and change labs. This group will steward the design of the lab, research and gather data to ensure the lab is rooted in sound principles, coordinate and organize the logistics of the lab, and help co-facilitate lab sessions. A diverse group of 7-9 people with backgrounds in human rights activism, design thinking, systems thinking, anthropology, service innovation, community building and human services. This team will undertake on the ground research with community to first explore assumptions, ideas, and realities around racism and poverty in Edmonton and then co-design and test solutions with people. To aid the move from roundtable talks to action, a promising approach is emerging in the social innovation ecosystem. Often called a social innovation lab, the approach draws on the strengths, empathy, creativity, and wisdom of a collective to explore new ways of making progress on a complex challenge. 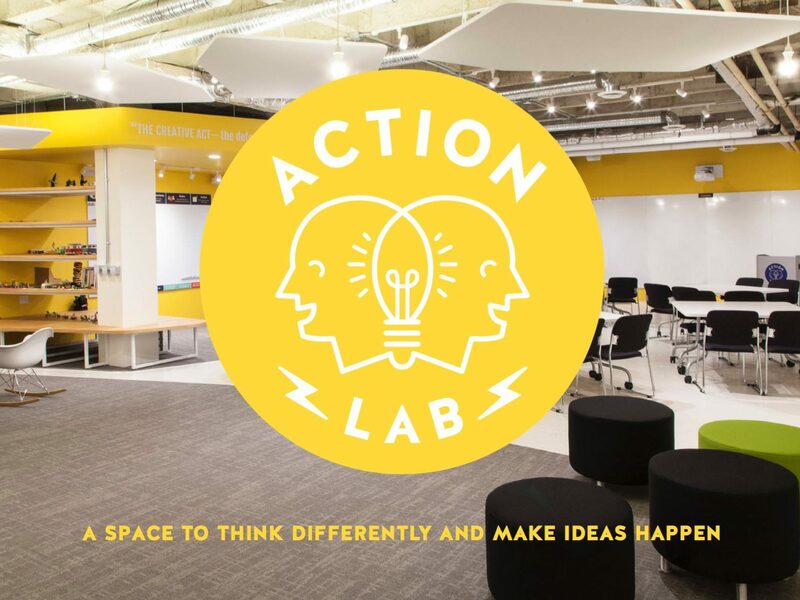 These labs are guided by convening diverse perspectives on an issue, gaining insight from people with lived experience of a challenge, facilitated ideation, building prototypes of solutions, and testing them to see how they work on the ground with people. A lab creates a safe zone for a collective to explore, question assumptions, be bold, be agile enough to adapt as learning emerges and experiment with solutions. As evidence emerges of what prototyped solutions are working, solutions can be scaled and spread to impact systemic change. To help scale solutions systemically, key champions are needed who can open doors, steward policy shifts and build capacity for embracing change. The Edmonton Shift Lab is about exploring the intersections between racism and poverty. While its goal is to develop innovative prototypes to help address the issues and needs of our communities, the journey towards this goal is equally important. The collective learning that will emerge from the lab is a vital part of the process. As we move forward together, we are diligent about documenting the learning of what’s working and what isn’t so that the journey is as transparent as possible and is designed to build and share knowledge. and an Associate of Tamarack– An Institute for Community Engagement. While studying the Solidarity movement in Krakow, Poland, in mid-1989, Mark experienced a variety of tumultuous events that signalled the end of communism in Eastern Europe – including walking on the Berlin Wall with a million people the week it came down in November 1989. He then rolled up sleeves and worked as an Investment Advisor in Poland’s Foreign Investment Agency, the Foreign Assistance Coordinator for Grants in the new Ministry of Privatization, and the Mission Coordinator for the creation of the United Nations Development Program’s first regional economic development initiative in Eastern Europe. A communicator by profession, Bin is a long-time public servant and joined Mayor Don Iveson’s team on his election as Edmonton’s 35th mayor. Prior to that, he worked at Edmonton Economic Development, Government of Alberta and the Saskatchewan Workers’ Compensation Board. As a community member, he has served on non-profit association boards and is an active volunteer at North America’s largest and longest-running fringe theatre festival. 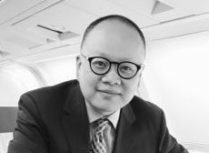 Bin has a Bachelor’s degree in economics and a Master’s degree in Southeast Asian studies. In addition to his work as MLA for Edmonton-Centre he chairs the Standing Committee on Legislative Offices and is a member of the Standing Committee on Families and Communities. He is also supporting Minister Phillips in the implementation of the Climate Leadership Plan. It may be no surprise to you that David Shepherd is a champion of Edmonton’s arts scene but you may not know that he is also an avid cyclist, a passionate advocate for active transportation, a proponent for housing that is both inclusive and affordable, and continues to engage with the North Edge Business Association, Downtown Business Association, Edmonton Chamber of Commerce and the Downtown Vibrancy Task Force. Through all of his work, David has developed a reputation as a powerful communicator, thoughtful analyst of public policy, with a keen sense of humour – skills he is putting to good use in his role as the MLA for Edmonton-Centre. 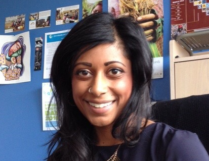 Giri Puligandla is Director of Planning and Research with Homeward Trust Edmonton. Responsible for stewarding public investment towards ending homelessness in Edmonton, Homeward Trust has been recognized nationally and internationally for facilitating the largest decrease in homelessness of any large city in Canada. Giri’s areas of responsibility at Homeward Trust include service systems planning, stakeholder engagement, program design and evaluation, data management and analysis, and research. 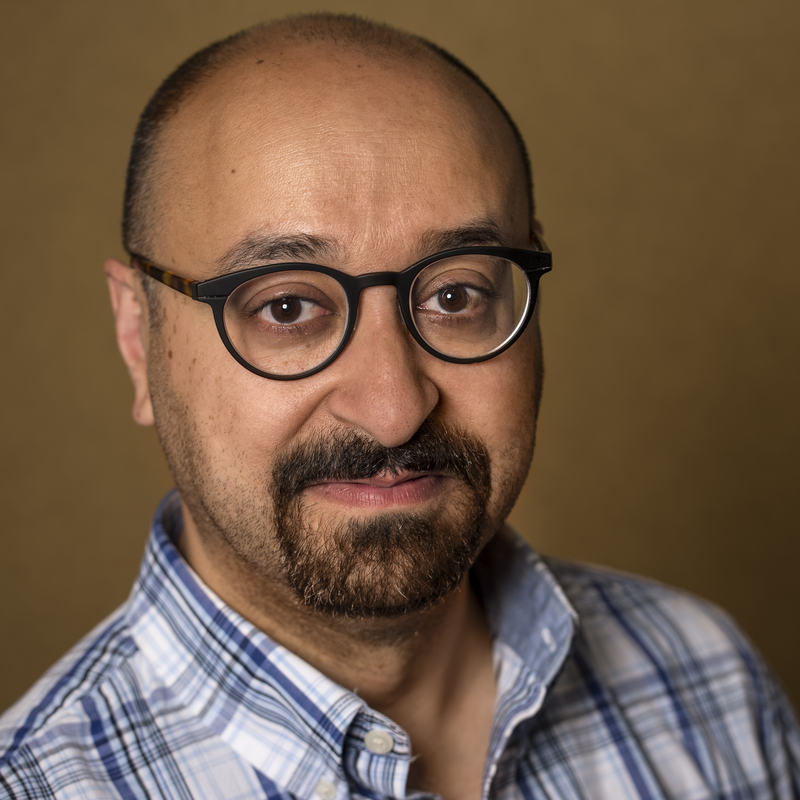 Prior to joining Homeward Trust in 2011, Giri held leadership and executive roles in several Edmonton-based non-profit organizations working in the areas of mental health, housing and homelessness, family caregiving, and community development. Giri’s career has centred on connecting community and government services to bridge and fix gaps that have left too many Albertans vulnerable, especially those with the greatest needs and fewest supports. He believes strongly that the lived experience of vulnerable and marginalized people needs to drive policy and program re-design in order to transform complex social systems and make them more effective. Gurvinder Bhatia left a career practising law to pursue his passion for wine and food. He is the wine editor for Quench (Canada’s most widely distributed wine and food publication), wine columnist for the Edmonton Journal and Global TV Edmonton, an international wine judge and the head wine buyer and Director of Wine, Business Development & Education for the UnWined wine boutiques. Gurvinder was the owner of Vinomania wine boutique (opened in 1995) for over 20 years, named one of the 20 best wine stores in Canada. In addition, Gurvinder was the wine columnist for CBC Radio for 11 years. Gurvinder is also the founder and director of Northern Lands, our country’s largest all-Canadian wine and culinary festival, and is certified by VinItaly International Academy as an Italian Wine Expert. In addition to possessing a law degree (JD) from Washington University in St. Louis, Gurvinder earned his Masters Degree in Business Administration (MBA) with honours from Bradley University in Illinois. In 2015, Gurvinder was named by Alberta Venture Magazine as one of Alberta’s 50 Most Influential People. Gurvinder believes that wine and food get their context from the people, place, culture and history of their home and focusses on sharing these stories of sense of place through his writing and commentaries. Gurvinder is frequently asked to speak at events and conferences locally, nationally and internationally. 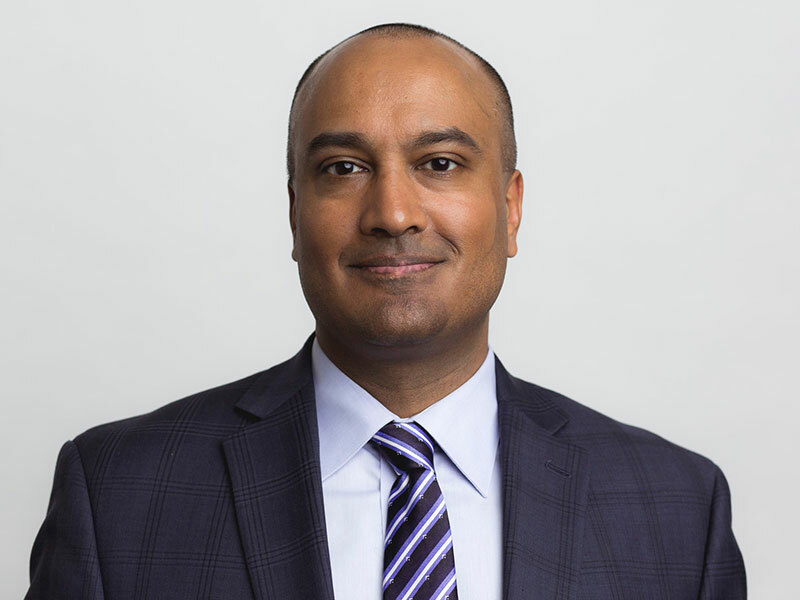 Gurvinder is actively involved in the community and donates his time and resources to numerous charitable causes including currently sitting as a Board member of the Edmonton Community Foundation. Kaitlin is a passionate systems-thinker and anti-racism educator. She has worked for the non-profit, the Centre for Race and Culture, since 2012 in different roles, starting as a practicum student while completing her Master’s degree in Public Health in the area of social inequities. 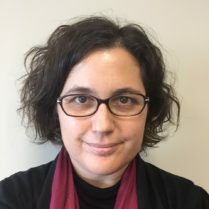 Her research looked at strategies for exploring and acknowledging institutional racism in schools and the connection between racism and education and health outcomes. 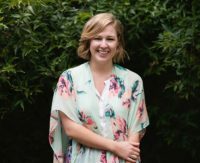 Kaitlin has experience not only in academic research, but also in on-the-ground facilitation and program development with community grassroots organizations. Kaitlin has been a facilitator of anti-racism, cultural competency, bias, diversity and inclusion training to hundreds of adults and youth in organization across Alberta. Kim has received her Honours Bachelor of Arts in Political Studies and her Bachelor of Laws. She has also completed the Police Management Certificate. currently, Deputy Minister, Status of Women. 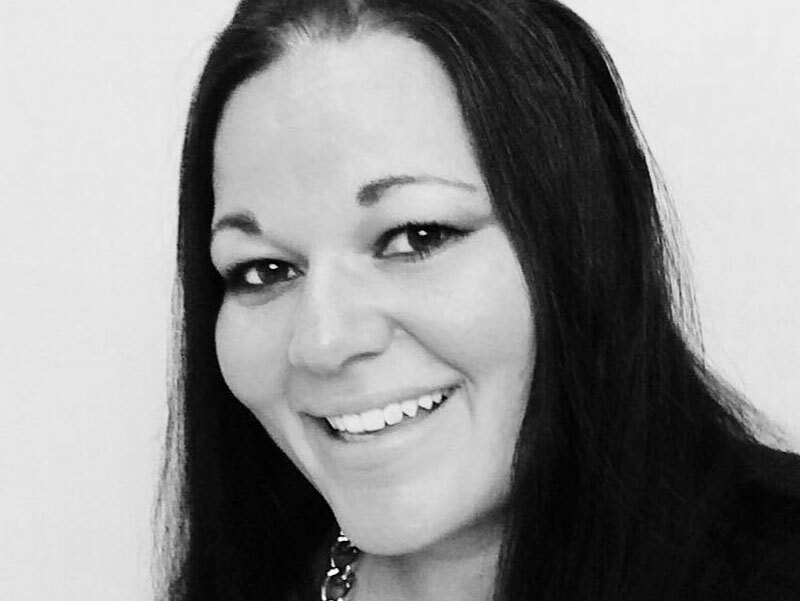 Rachael Putt is Policy Advisor & Community Liaison to Ward 6 Councillor Scott McKeen. Previously, Rachael worked in fund development and public education at Bissell Centre, an organization that helps people transition out of poverty and homelessness in Edmonton. She has presented on the correlation between relationship building and community impact in several forums, including the Parliament of the World’s Religions in Salt Lake City, 2015. She holds a Master of Science in Security Studies from University College London, where she focused on conflict transformation, peacebuilding, and reconciliation in Northern Ireland. 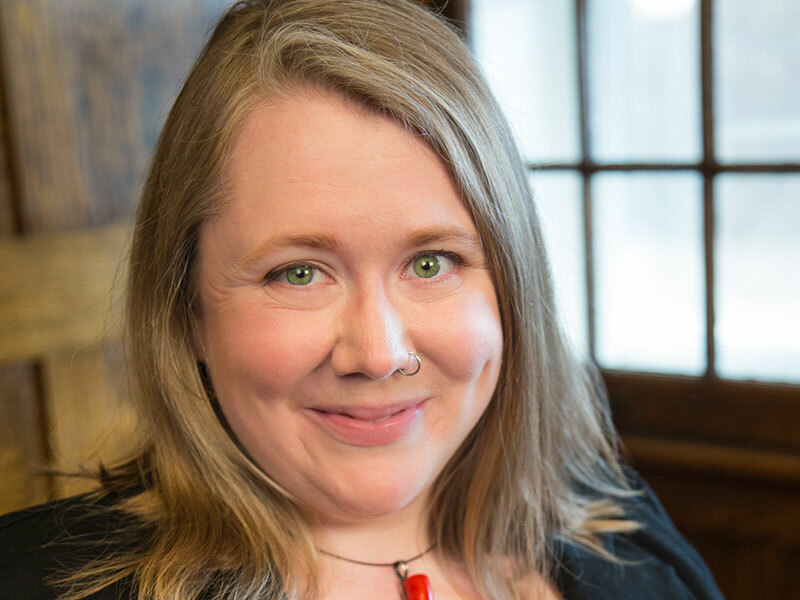 Rachael manages several intersecting files in the Ward 6 office, including End Poverty Edmonton, Indigenous Relations, and Mental Health & Urban Isolation. She is especially passionate about ending Edmonton’s housing crisis. 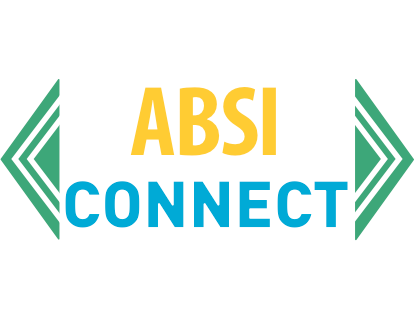 ABSI Connect seeks to bridge and amplify social, economic and ecological impact initiatives that are successfully challenging the status quo in Alberta. In Phase One, the inaugural cohort of Fellows set out to get at the heart of the question: How can we do better at solving complex social and environmental problems in our province? We were tasked with the opportunity to strengthen understanding, provide capacity, resources, time, convening, and connection, and share the stories of what is happening around social innovation in Alberta. Through the process, we identified a common agenda of six pathways forward that could help Alberta move towards a bold, inclusive and radically fruitful social innovation ecosystem. We are now in Phase 2, with a new operating model, and have set our minds, hearts and actions on the next set of questions: How do we put what we have learned into action and in service to the ecosystem as a whole? How do we support the move from common agenda to common action? An ABSI Fellow is a member of the core stewardship team. That same Fellows is actioning the pathways of deep collaboration, fostering the move from strategic planning to adaptive planning, and developing the craft of social innovation for Alberta, with a focus on Edmonton. As a corporation, the City of Edmonton serves a population of over 750,000 residents. The Mayor and Council govern this corporation, setting policy, budget and direction to City operations. With an optimism that runs through our Edmonton, we at The City of Edmonton embrace our rich cultural mosaic and have diversity and inclusion at heart. We want to create a community that shines on the global scale and is a place where Edmontonians love to live, work and play. 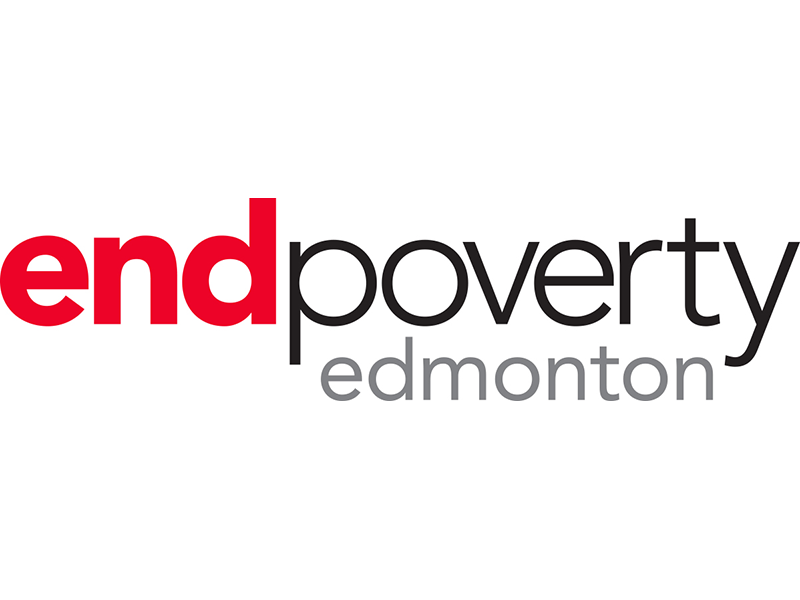 Launched in 2014, EndPovertyEdmonton (EPE) aims to advance a vision of shared prosperity for all and create a city where every Edmontonian has an equal opportunity to live, work, participate and succeed. Over the last two years EndPovertyEdmonton, with the assistance of thousands of Edmontonians, has created the EPE Strategy and EPE five year road map that will guide our collective action to reach our goal of a poverty free city within a generation. As EndPovertyEdmonton moves forward on its bold mandate we know that innovative ideas will be essential to shift the conversation on poverty. We encourage all Edmontonians to share their talents, skills, passion and ideas as it will take all of us working together to create an Edmonton where all people can thrive. Ward has worked in the helping professions, and in community services, for 25 years having held a variety of fulfilling portfolios. He has a background in criminology and is the Project Lead for EndPoverty Edmonton. Ward believes in the collective capacity of all of us to do great work together! Dallas is firmly committed to change the systems that have adversely affected marginalized populations. Grounded in the conviction that no single person, organization or government can solve society’s ‘wicked problems’ on their own he strives to create conditions where people can take collective action. As a Strategic Planner with the City of Edmonton he has had the privilege to work with a hundreds of Edmontonians to create the EndPovertyEdmonton Strategy and 5 year road map. He is encouraged by the passion of Edmontonians and how they have embraced the vision of a poverty free future and their willingness to work together to achieve it. Kate believes strongly that the best ideas for change come from Edmontonians and that citizens are “experts” on their community. 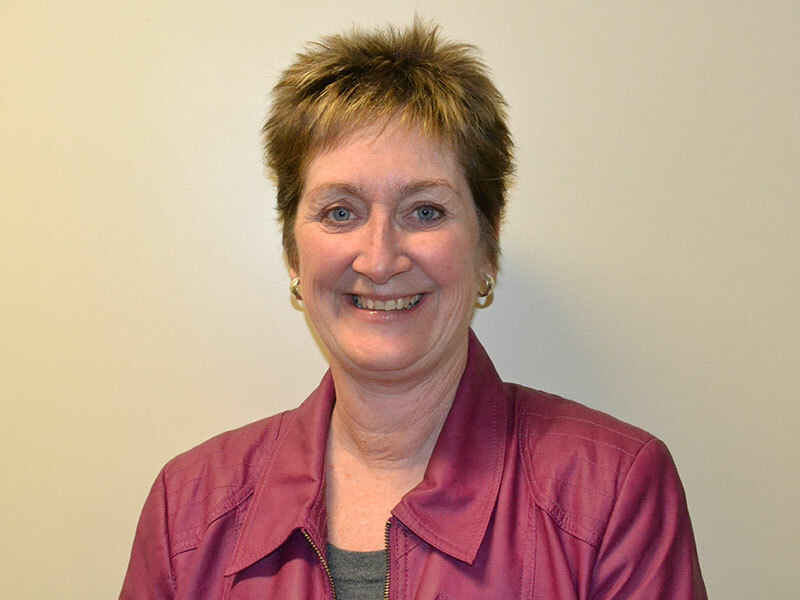 She supports a new role for the municipality as a catalyst or convenor, working with community leaders and all citizens to build a great city. She is passionate about Edmonton and focused on action. She has the opportunity to work alongside outstanding community champions who are calling for transformational change, bold action and for collaborative leadership. Most recently, Kate and her team supported the Mayor’s TaskForce, EndPovertyEdmonton, as it engaged Edmontonians to build a shared vision and road map for action to end poverty in our city in a generation. Eliminating racism emerged as a Game Changer, a key driver to influence lasting change and build an inclusive city where everyone thrives. Other ground breaking initiatives they support include WinterCity Edmonton and Edmonton’s Women’s Initiative. Annand Ollivierre, Managing Director at Volunteer Alberta, focuses on supporting the nonprofit sector in its capacity to take actions that address the complex challenges that organizations face so that there is increased resilience and improved community wellbeing. 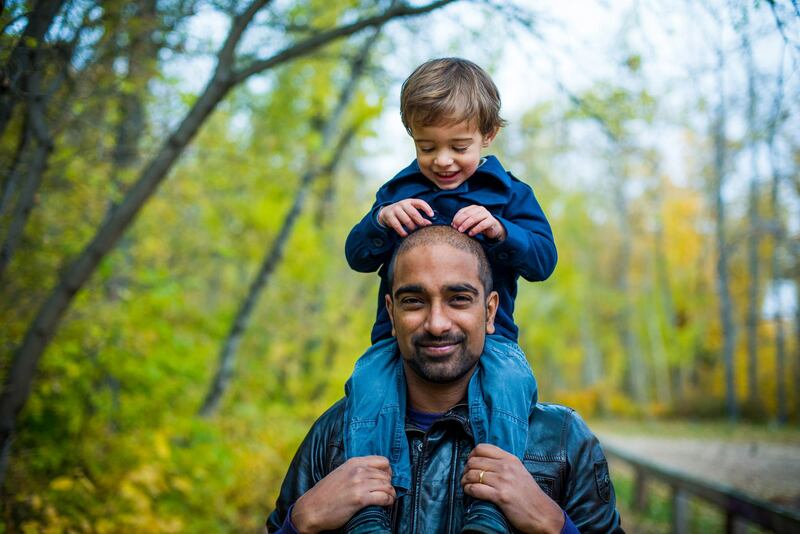 Annand has a Bachelor of Science in Human Ecology (’04) from the University of Alberta; since graduation he has worked as a policy analyst with the Government of Alberta and then as a Head Chef at a local, critically acclaimed, independent restaurant. At Volunteer Alberta, Annand is known for having a ‘gift’ for dad jokes, being excessively optimistic, and always having something to say. He volunteers with the Edmonton Folk Fest, the Edmonton Community Foundation and the University of Alberta Alumni Council. When he’s not at work, Annand is learning the latest dance moves from his two incredible daughters and honoring and supporting his wife in her career as an educator. This group stewards the lab design and process, coordinates activities, and organizes the logistics of the lab. Ashley is an anti-racist feminist who has committed her personal and professional development to learning and talking about racism, with a particular focus on engaging her fellow white folks. 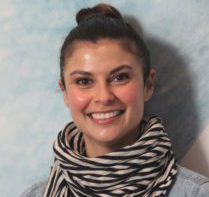 In previous work, Ashley pursued graduate research with a focus on whiteness in Canadian queer communities and was the Executive Director of the Facilitating Inclusion Cooperative, which provided community-based research training and services for immigrant and Indigenous women. In her role at ECF, she is exploring the development of targeted granting opportunities that will support the broader Edmonton community. Rhea is a recent graduate from the University of Alberta and will be going back to school to complete an environmental health after-degree in September. She is working at Skills Society as an action researcher learning about social innovation. Rhea has been always involved in various student groups and initiatives to help make her community a better place. Through her past experiences, she has come to appreciate the importance of collaboration to create meaningful change. She hopes to take what she has learned and share it with other people to help foster creativity and innovation when dealing with complex problems. Sameer Singh is a local community activator with a background in journalism, documentary film-making and business incubation. He has worked with aboriginal communities in Canada and abroad, and in the cultural sector with South Asian communities. 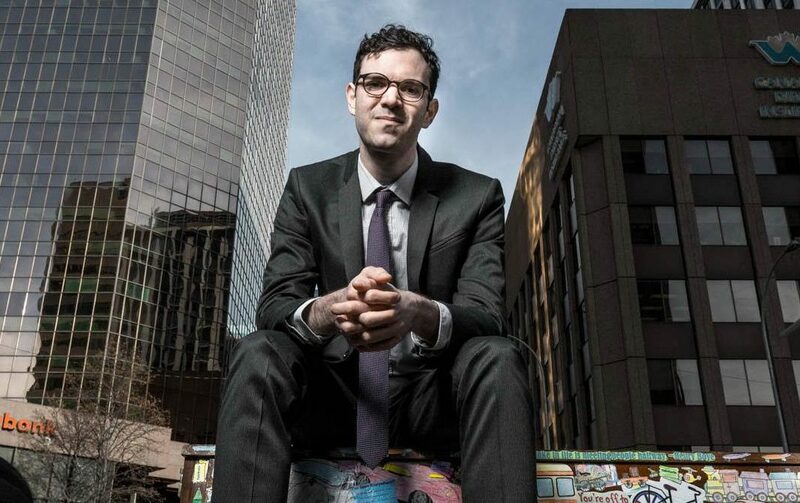 He learned how to tackle “wicked” problems during his MBA at the Rotman School of Management, where he co-created the Rotman Design Challenge. He continued as a service designer at Telefonica in Spain and in Alberta at the Banff Centre. Currently, he oversees innovative fundraising practises at the University of Alberta. Challenge (and be challenged) on how we derive the concepts of racism and poverty in Edmonton today. Jodi Stonehouse is of Cree and Mohawk descent from the Michel First Nation. She is working on her MSc with the Faculty of Resource Economics & Environmental Sociology at U of A. Her interests are Indigenous law, urban Indigenous issues, Indigenous women and Indigenous feminism. She is the producer & broadcaster of ACIMOWIN, an Aboriginal Radio program on CJSR. Her work is dedicated to uplifting and educating audiences worldwide, and through this program she strives to break down social barriers to improve the perception and understandings of Indigenous people to broader community. Her work celebrates Aboriginal people and their success stories as well as their trials & tribulations to demonstrate the complexity of indigeneity and the 21st Century. 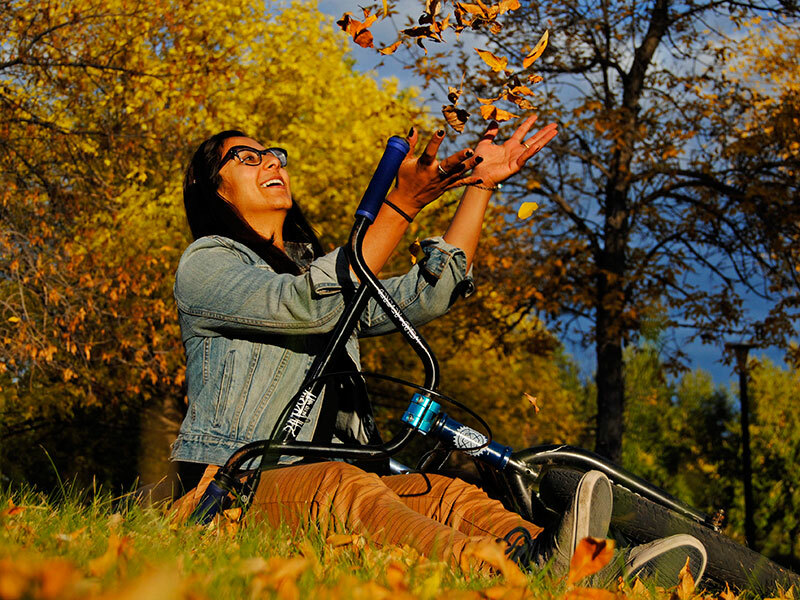 Aleeya is a budding social innovator that enjoys cycling, BMX, and gardening. 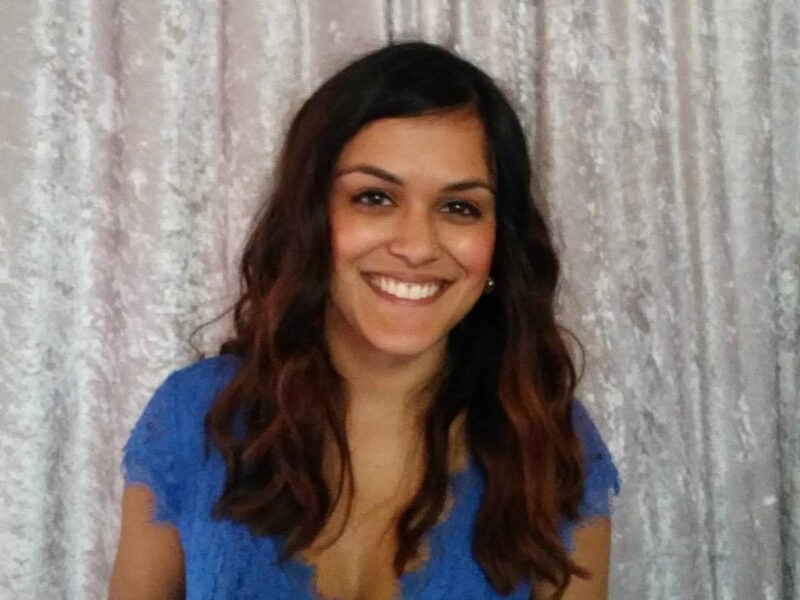 Aleeya thinks in systems and developed her understanding of complex environmental, social, and economic challenges through her work as an educator, an ABSI Connect Fellow, and as an intrapreneur at the City of Edmonton. Aleeya currently shares her brain with the City and ABSI Connect, exploring how to infuse design thinking and systems thinking into the daily work habits of large and small organizations. Ben is driven by the desire to help people and community get better at navigating and problem solving complex challenges together. He’s an innovator and collaborator at heart and will show you how he doesn’t just throw those words around lightly but acts on them. 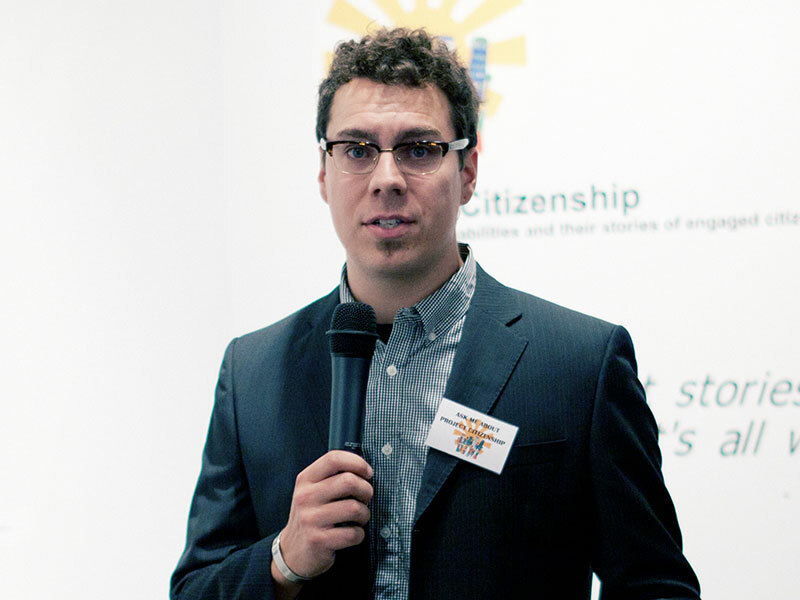 Currently, Ben is a senior leader at Skills Society and leads Social Innovation R&D through the Action Lab. Skills Society is one of the largest disability service organizations in Edmonton and has a long history of innovation related to rights, citizenship, and community inclusion of marginalized populations. Ben regularly facilitates human centred design lab explorations around complex issues for the public sector, non-profits and community. 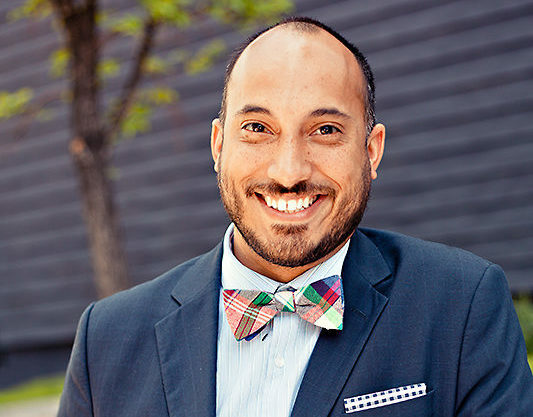 His work stewarding social inclusion initiatives like Project Citizenship and an inclusion think tank Citizen Action Lab has been featured in the Stanford Social Innovation Review and he has received some awards including the MacEwan University distinguished alumni and the Avenue Top 40 under 40 award. 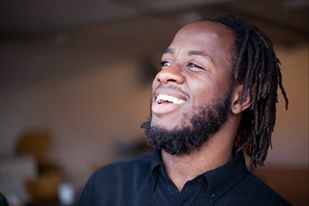 Brandon Wint is an Edmonton-based poet, educator and spoken word artist. For Brandon, the writing and performance of poetry are tools for investigating and embodying his spectrum of beliefs about the world, and the nuances of the human spirit. In this way, Brandon’s political viewpoints are subtly and poignantly expressed in a manner that consistently foregrounds the possibilities of love, unity, resilience and understanding that exist between humans. As an educator, Brandon uses poetry to help people of all ages and experience levels harness deeper forms of authenticity, social awareness and empathy. 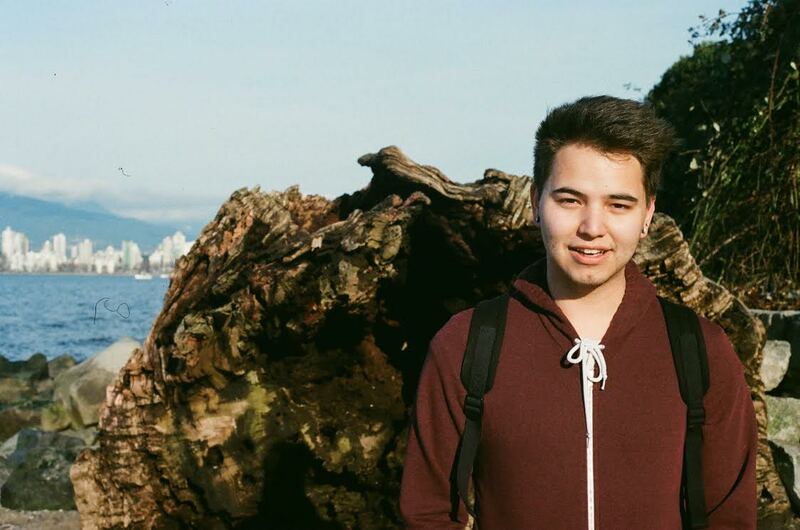 Brandon is a two-time national poetry slam champion, and has performed all over Canada. 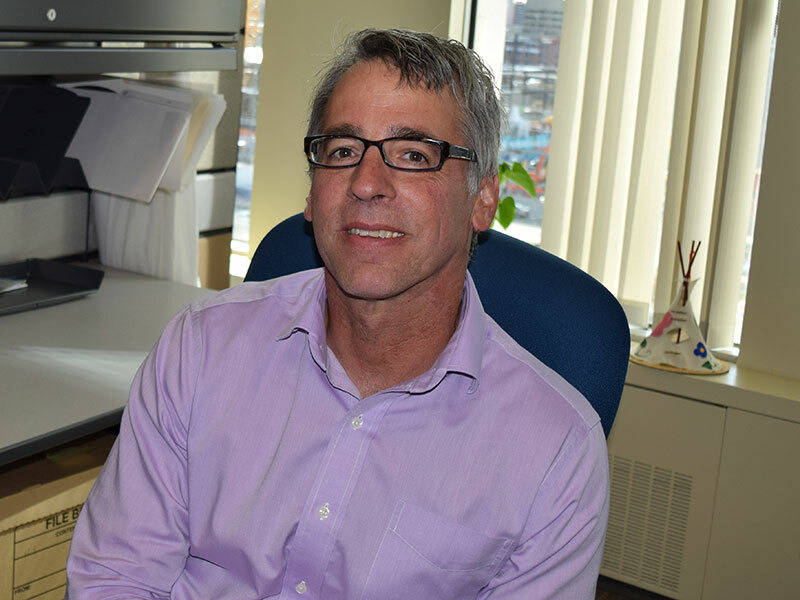 David Rauch is an American transplant in Edmonton who works for the City of Edmonton in the Open City and Innovation Branch. David spends his time at work facilitating data-driven decision making and spends his time after work playing music and co-leading the city’s civic technology meetup, BetaCityYEG, at Startup Edmonton. BetaCity volunteers have developed tech solutions to address issues facing Edmontonians included LinkYEG, a web tool which connects people with immediate-need services, and You Can Benefit, a tool being created right now to help people figure out which social benefits might be available to them. David is looking forward to being part of a great experience meeting engaged people and collaboratively designing solutions to address poverty and racism. Francisco is new to the scene as a Community Outreach Advocate for his sector, representing seniors and the communities that surround them; he tackles branches from all parts of the senior community including multiculturalism, homelessness, poverty, racism, ageism and intergenerational issues. With focuses in community social work and geriatrics, his inclusive views bridge seniors and their communities together. Francisco is the Assistant Executive Director of Strathcona Place 55+ Centre and Outreach Director of a team of inter-displinary health and business students who he provides Outreach training across the sector through a holistic and humanistic approach. 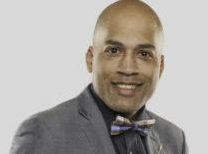 He currently sits as the Chair of Homeless Connect, on the Steering Committee of Youth Connect, Working Group for Agefriendly Edmonton, Vice President of the CMC Edmonton Chapter, and National Board of the Canadian Music Competition. In his spare time, he’s an auditor for Redbull, Exam Invigilator for The Royal Conservatory of Music, a classical piano and violin teacher, a film maker, social media marketer, and motorcycle enthusiast. Keren’s own journey to here is richly characterized by unexpected twists and turns. Emigrating from El Salvador, she was encouraged to follow her dreams, eventually going on to obtain three academic degrees in Classical Studies, Comparative Literature and Cultural Studies, with a focus on the politics of identity. She has since bridged this creative foundation into a career helping the public sector reboot policy development and planning across a broad range of areas, from energy futures and sustainability, to Indigenous programs and policies, to grassroots transition initiatives for rural communities. Keren would say her super power is helping individuals come together and to take the creative leap. My name is Matthew Ward and I’m a 24 year-old queer Indigenous guy from Driftpile Cree Nation. I did a majority of my growing-up in Slave Lake, AB and finished high school in Edmonton at Victoria School for the Arts. I completed a Bachelor of Arts in Critical Indigenous Studies at the University of British Columbia Vancouver campus and now work as a Coordinator of Planning & Engagement at Homeward Trust Edmonton. My research interests include decolonial indigenous research methodologies, queer indigenous studies, and more recently the study of homelessness as settler-colonialism. I love to think about complex issues, particularly relating to Indigenous peoples, and am excited to do so in the context of racism and poverty in Edmonton with this rad group of people! When I’m not working, you can find me somewhere downtown Edmonton enjoying the city. 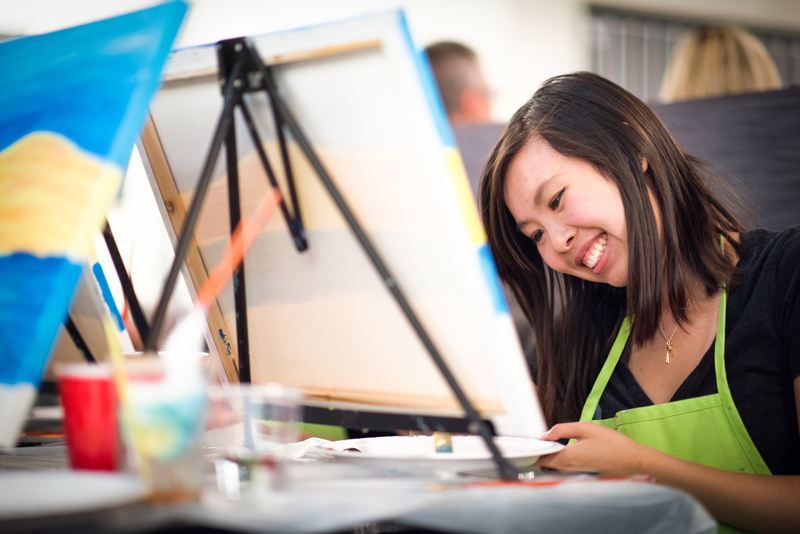 I spend time volunteering on the steering committee of YEG Youth Connect, which is an annual event that supports youth experiencing housing insecurity and homelessness in Edmonton and enjoy the multitude of things to do in this city. I’m really happy to call Edmonton home, and really happy to work with others to make it even better! 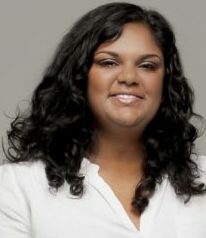 Noelle Jaipaul is a first-generation Canadian settler, born in Edmonton. She is a University of Alberta alumnus, having completed a Bachelor of Arts in Political Science and Middle Eastern and African Studies, as well as a Bachelor of Science in Nursing. Noelle spent her first years after graduation working in health programming and policy, primarily focused on working with immigrant, refugee, homeless, and Indigenous communities in Edmonton to achieve more accessible, culturally competent primary health care services. Noelle then completed her Master’s in Public and International Affairs at the University of Ottawa. 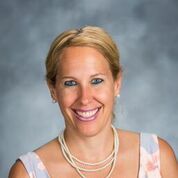 Noelle has experience in international development and foreign affairs, living and working abroad in Kenya, Tanzania, and Vietnam. Noelle currently works for the City of Edmonton as a Multicultural Liaison. She also sits on the board of John Humphrey Centre for Peace and Human Rights and is an associate consultant for the Centre for Race and Culture. In her free time, Noelle enjoys reading good books and exploring used bookstores, playing on her rec league basketball team, and gardening. 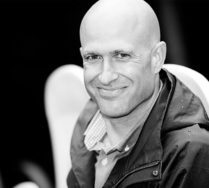 Pieter is a facilitator, community organizer, and engaged academic. In his role as a community development practitioner with Alberta Culture and Tourism, he supports non-profits and public sector organizations across the province. 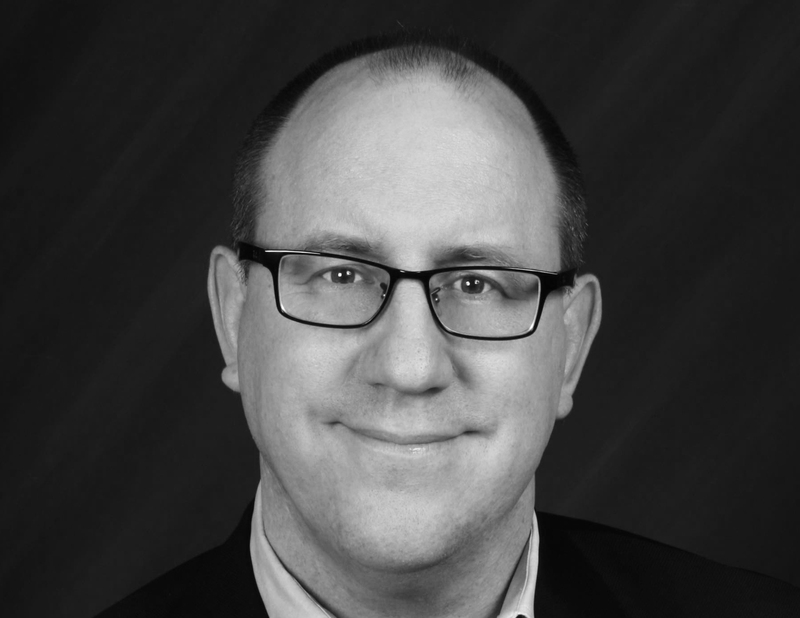 His assignments have ranged from leading strategic planning and change management sessions with executive teams in the provincial government; to supporting the Mayor’s Task Force to Eliminate Poverty in Edmonton; to working with community-based organizations to address social inclusion. He has recently started venturing into the world of human-centred design, which resonates with his commitment to honouring the stories people live by. Pieter has a PhD in Anthropology from the University of Alberta as well as a MSc in Public Health. His research focuses on using narrative and visual methods to explore community understandings of home and belonging in an informal settlement in South Africa. Over the past several years, Pieter has enriched his practice by using documentary photography (www.pieterdevos.ca), digital storytelling, and arts-based methods to enhance dialogue and collaboration. He has facilitated workshops using these methods in Kenya, Sweden, Tanzania, Pakistan, Haiti, and the USA. These community-based projects have animated the dialogue on poverty and homelessness, HIV/AIDS, childhood injury, and gender relations. Soni Dasmohapatra has long been an advocate for human rights, the advancement of women, children, youth and minority communities. From Edmonton, to Toronto, to Nairobi and Delhi, from the government to non-profit agencies, from public think tanks to the classroom, Soni has been an educator, strategic planner and researcher. Soni has held various positions in management, organizational development, policy research, teaching, facilitation, and communications. She is a results oriented person with professional experience in academic, non-profit, philanthropic and government sectors. She is an innovative leader who has developed an inclusive and collaborative working style. She has built her career focusing in areas of immigration, social determinants of health, mental health, early childhood development, youth employment, youth engagement/participation, education, arts and culture, gender equity, community development, organizational development/governance, strategic planning, social justice, advocacy, human rights, child welfare, poverty reduction, anti-racism and working with Indigenous communities. A mother of three also a lover of dance Soni enjoys watching and engaging in performing arts, and inspiring her children and husband to dance their worries away. Sheida Azimi was born and raised in Tehran, Iran. Her passion for social equality and social development, led her to move to Berlin to pursue her master’s degree in public policy. During her graduate studies, Sheida has touched upon several social policy related issues and became extremely interested in social innovation and entrepreneurship. She completed her master thesis on microfinance and women empowerment in Middle East, a subject closer to home. Sheida watches documentaries and tennis matches thoroughly. She also takes pride in her pancake-making skills and her appreciation for a good brunch. Vanessa is an applied social scientist who has spent 20 years working in the complex arena of intercultural collaboration, research, and advocacy and engagement. She has extensive experience working in international contexts, including twelve years working with Aboriginal people in the Northern Territory of Australia, and four years as a rural community development volunteer in Papua New Guinea. Her academic roots are in anthropology, with degrees from the University of California, and her research and publications have focused on the political ecology of indigenous engagements with the state, landscape anthropology, and the co-management of parks and protected areas. She is currently the Executive Director of the Edmonton Centre for Race and Culture, which works to promote and support individual, collective, and systemic change to address racism and encourage intercultural understanding. Vivian graduated from the University of Alberta with a Bachelor of Science in 2015. Ever since 2011, she has been an active member of the non-profit community. In her second year, she was diagnosed with mental health conditions that prevented her from thriving for a period of time. This experience later on motivated her to become a vocal advocate in her campus community, where she had the opportunity to work with various senior administrators and government officials on projects that impact post-secondary student mental health. She continued her involvement and allowed her passion to guide her to more opportunities after graduation. She is now a core member of the Lieutenant Governor’s Circle for Mental Health Addiction, Edmonton Global Shapers, and Edmonton Mental Health Awareness Committee. She is also a coffee enthusiast. Basically anything with caffeine will make her happy. On her spare time, she enjoys learning new skills such as cooking, photography, and painting.